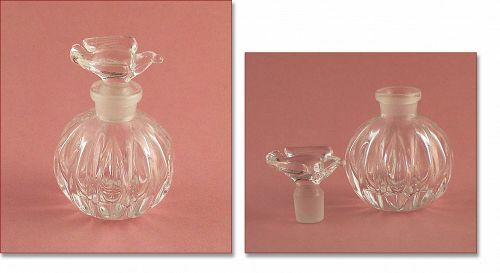 This listing is for a beautiful glass perfume bottle with a glass bird stopper. It measures 3 ¼” tall from bottom to top of bird and is in excellent condition. 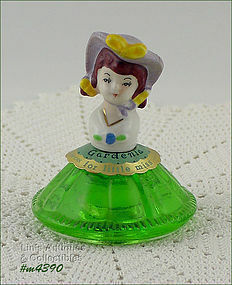 I purchased this cute little fragrance bottle several years ago at a local antique shop! I purchased for display and also because (at the time) I was collecting Gardenia scents – time to share! 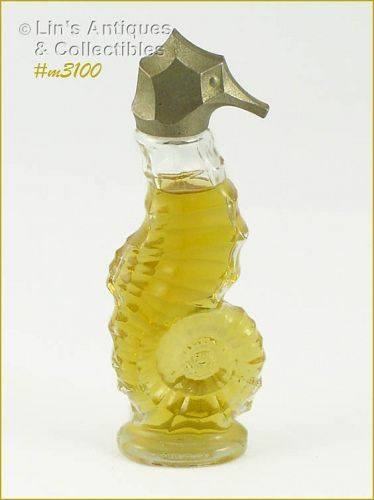 Neat little Avon sea horse bottle filled with “Here’s My Heart” cologne!